A look at supermarket shelves, packed with products like dishwash detergents promising to wipe out germs on every surface, will convince anyone that bacteria are nasty bugs that will always do harm to you and your family. But that’s not true of all bacteria: many are actually very good for people and for pets. 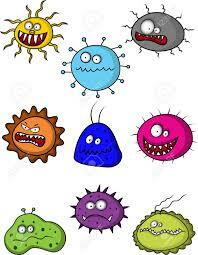 In fact, every normal person and animal of every species has a body that is literally loaded with bacteria. An average healthy human guy carries in it all times about 1 kilogram of bacteria and other organisms, known as the microflora; without some of these beneficial gut bacteria, in fact, you would soon become seriously ill. These friendly bacteria, commonly known as probiotics, play a vital role in maintaining the immune system and in digesting food. It made intuitive sense to some early medical workers to try to treat disease using bacteria. In the late 19th century Arnold Cantani treated Tuberculosis by spraying Bacterium terumo directly into patient’s lungs, and it proved to be surprisingly effective. Later, in the early 20th century the Pasteur Institute in Paris studied Bulgarian peasants, who were renowned for living to great old age. The Institutes researchers thought that this effect was related to the large quantities of fermented milk that the peasants ate every day, and came to believe that the bacteria producing lactic acid in the fermented milk changed the make-up of the microflora in the stomach, so suppressing the harmful activities of pathogenic bacteria in the gut. It is now widely accepted by doctors that the stimulus of exposure to bacteria kick-starts the immune system into working properly: we actually need bacteria to develop naturally normally. This may account for the huge and mysterious rise in the incidence of asthma in developed countries in recent times, which has been attributed to the near-sterile environment in which many parents nowadays bring up their children. This applies to pets as well: if they are reared in surroundings that are too clean and largely free from micro-organisms, their immune systems will struggle to work properly and the dog or cat (or bird, or horse) may suffer all its life from allergies and other problems. To get the benefit of friendly bacteria it isn’t necessary to drink dirty water or eat food off the floor: there is strong evidence that taking extra amounts of beneficial bacteria (such as lactobacillus and bifidobacteria) in the form of probiotic supplements can not only help prevent and cure disease in the gut but can also have a dramatic effect on the body’s immune system as a whole. Newborn animals have a completely sterile gut which soon becomes populated with bacteria, often as a result of contact with the mother’s body and faeces. It has been shown that probiotics given in the first five days of life colonise the gut with beneficial bacteria and prevent disease and diarrhoea, improve general health and disease resistance, and promote rapid and healthy growth. Antibiotics are essential tools in the fight against infection and have for many years been used extensively by farmers, added to the food of chickens and cattle to get them to grow more quickly. This practice is banned or about to be banned in Britain and Europe, and many farmers there, searching for alternatives, have turned to entirely natural probiotics. They have found that they get results just as good and better: healthy growth without antibiotic residues in the meat. The use of antibiotics kills not only the invading pathogenic organisms but also the healthy, beneficial ones that inhabit the gut. This is the reason that diarrhoea appears so often after a course of antibiotics. Probiotics given during and after the course of antibiotics restore the digestive balance, speed recovery and prevent secondary infections. Probiotics are no longer seen as “fringe” medicine. Scientific papers published in respected medical journals like The Lancet show positive findings in reports of trials using probiotics. Makers of yoghurt have begun adding the works “contains live probiotic cultures” to their packaging, because they perceive this to be a desirable attribute. Good, fresh yoghurt does contain a certain amount of probiotic substance but tests done recently by a South African university showed that most commercial yoghurts contain only small amounts of viable bacteria. Not only that, these bacteria can be easily damaged or destroyed in their passage through the digestive system. A stable consistent source of viable bacteria can only be obtained from a good probiotic culture which has been properly processed and treated. A good probiotic should also contain at least the two most important organisms (lactobacillus and bifida), but better coverage is obtained from probiotic supplements that contain many more than that. A veterinary probiotic that contain 9 different organisms, including a mould and yeast, called Protexin, is produced by a sophisticated process involving careful culturing of the nine organisms, which are then dried and coated with a substance that protects the bacteria from the environment and from their passage through the digestive system. This protective coating ensures that the bacteria in this multiple-strain product are delivered full-strength at the required time in the gut. Nothing could be more natural than to reinforce an animal’s defence mechanisms using probiotics. Therefore, to ensure that a pet develops in a healthy way and stays healthy for life, it is a good practice to feed a good probiotic as soon as possible after birth and add some to its food every day as it grows and becomes an adult. 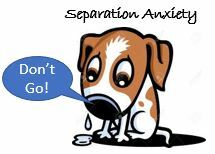 If you suspect your dog is suffering from Sep Anx, do get help. If not, the behaviour will just get worse and be harder to change. I am regularly asked if it is time for a Dog to go to the vet. Here are some tip offs for you to assess whether your Dog needs medical intervention. Bark Collars - another quick fix?